Apple's Notes apps for iOS and Mac recently received much-needed upgrades, but they're still no match for more robust note-taking apps, such as Evernote. Here's why. With iOS 9 and Mac OS X El Capitan, Apple finally bulked up its minimalist note-taking apps. The upgrades are welcome, but the latest Notes apps aren't going to persuade many people to give up Evernote, OneNote or even Google Keep. When it comes to capturing online articles, Evernote's Web Clipper browser extension rocks. It's also simple to save articles you read in your mobile browser using Evernote. Apple's Notes apps for iOS and Mac OS X only save article headlines, snippets of text, and links, and they aren't nearly as useful. Evernote lets you share notes, including shopping lists, with other Evernote users. Apple Notes does not. You could share iCloud account access with, say, your significant other, but that's overkill for most people. (Another option is to use the sharing features baked into the to-do-list management apps Wunderlist or Todoist. Adding tags to notes helps sort them. For example, for each Web article I capture in Evernote, I tag it with the publication's name, such as CIO, NYTimes, or WSJ. You can't add tags to notes in Apple's apps, unfortunately. The latest Notes app does let you add notes to topical folders, which can be helpful. 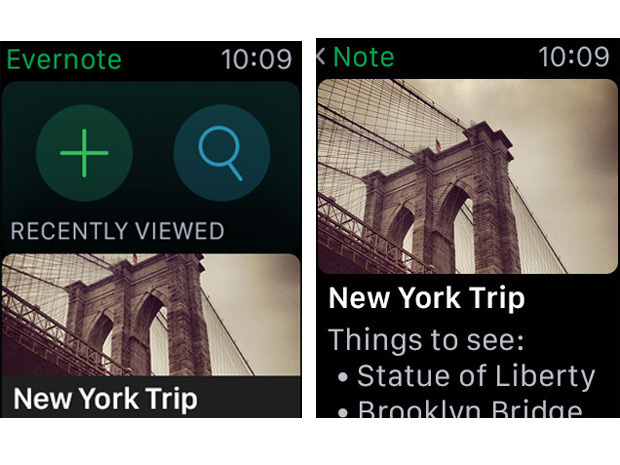 Evernote lets you add text, arrows and other annotations to images within notes. Apple's Notes apps only let you add annotations underneath images in notes. Evernote's optical character recognition (OCR) technology converts text in posters, documents and other printed material you scan to searchable, editable text. Apple's Notes? Not so much. Currently, an Apple Watch extension does not exist for Notes, so you can't quickly dictate notes on your Watch or view existing ones, as you can with Evernote. Apple's Notes is definitely much improved. You can, for example, now drag and drop PDF files into notes. This could be a convenient way to keep important legal documents, such as your spouse's healthcare power of attorney, handy in case of emergency — just make sure you protect your iPhone with a secure passcode. Notes is also lightweight, it syncs across your Apple devices, and it comes free with new Apple products. If you live in Apple's ecosystem, it's a great choice for basic note-taking on the go. However, Evernote and OneNote are much more suitable for people with robust note needs.